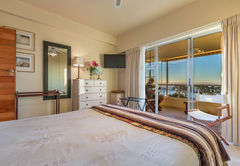 Valid 16 May to 2 September 2019: Book and pay for 4 nights and get an additional night free (stay 5 nights). 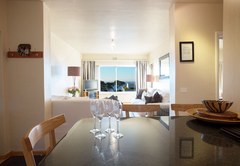 Seaview 10 Monte Carlo is a 4 star graded property offering Camps Bay accommodation for up to 4 guests. 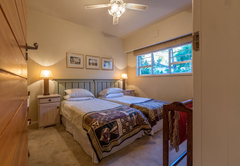 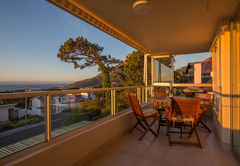 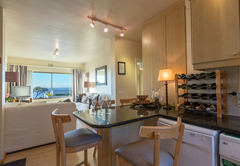 This two bedroom holiday apartment offers luxury, self catering Cape Town accommodation with breathtaking views of the ocean and surrounding mountains - only 5 minutes walk from Camps Bay beach and its pavement cafes and restaurants and 10 minutes drive from the city centre and the V and A Waterfront. 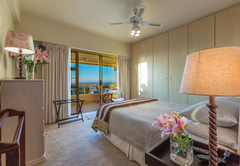 Sea view 10 Monte Carlo is a stylish two bedroom apartment situated in the heart of Camps Bay with magnificent views of the Atlantic Ocean, Lion’s Head and Table Mountain. 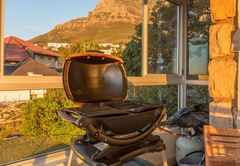 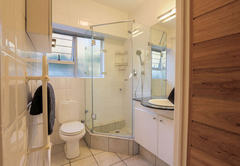 The spacious apartment is ideal for 4 people who wish to sample some of the delights, which Cape Town has to offer allowing you to feel immediately at home in one of the continent’s most spectacular cities. 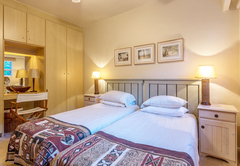 The property has been very tastefully furnished in an African style in keeping with its picturesque surroundings thus creating an atmosphere of relaxation and tranquillity. 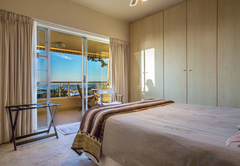 The master bedroom opens out onto the large balcony which is perfectly positioned to catch the sun throughout the day and enjoys incredible uninterrupted views of the ocean. 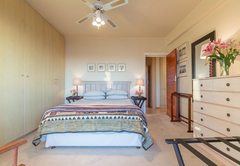 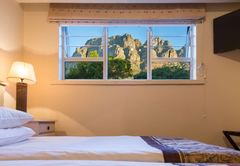 To the rear of the property is a twin bedroom looking out to Table Mountain and the Twelve Apostles. 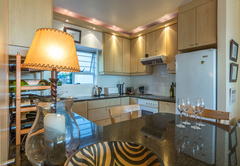 The open plan lounge kitchen area, again with Atlantic and mountain views, is separated by a breakfast bar ideal for easy and relaxed indoor entertaining. 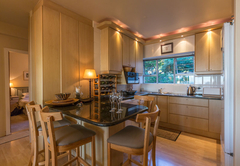 The finishings and furnishings are all of a high standard with black granite worktops in both the kitchen and shower room. 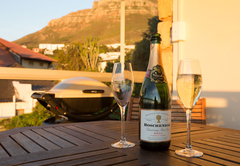 The apartment is extremely well equipped with everything required for that perfect self catering holiday i.e. 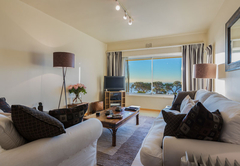 dishwasher, washer dryer, fridge freezer, microwave etc as well as full DSTV / satellite television, PVR (Sky+), dual room (multi room), TV in master bedroom so you can watch a separate channel form the one showing in the lounge, DVD player and CD system with iPod dock. 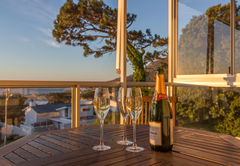 Opening from the lounge is the large balcony with its expansive sea views which invites lazy moments in the heat of the day and is the perfect place for sundowners and watching those amazing sunsets. 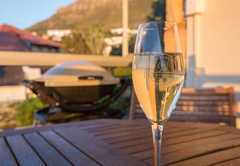 Experience our favourite South African pastime - the quintessential braai (barbecue), with our gas braai and outdoor furniture sipping sundowners and enjoying those glorious South African Sunsets. 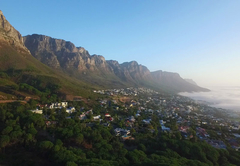 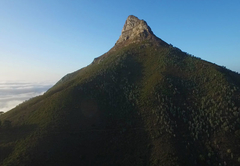 Camps Bay is a beautiful place so close to the centre of Cape Town with a wonderful selection of top restaurants. 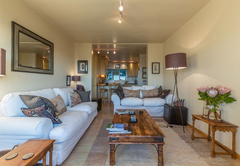 The beach is breathtaking and has even been featured in the UK Times “10 Top City beaches”. 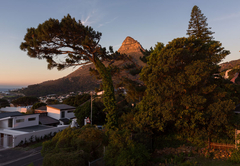 Distances to various attractions in and around camps bay are detailed below. 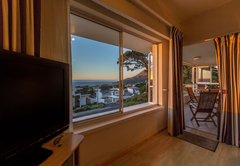 • The Victoria and Alfred Waterfront is 10 minutes by car. 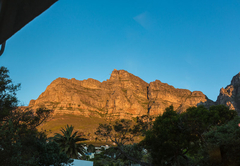 hi Shona,thank you for the opportunity of living in your apartment this month.Perfect in every way.Will definitely be back.